Match this multi-tonal necklace to any piece in your closet. 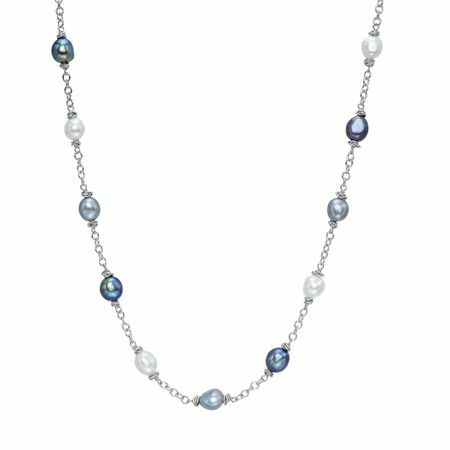 9-10 mm black, grey, and white freshwater pearls are strung along an elegant beaded chain, crafted in quality sterling silver. Piece measures 18 inches in length and features a lobster clasp.